If he had fulfilled his parents’ wish for him, Alexander Dreymon would have been in the medical field but he found another path to follow in life and it seemingly paid off. He is most popular for his portrayal of Uhtred of Bebbanburg in The Last Kingdom shown on BBC Two. He is a German-born actor who has graced a lot of theatrical productions in Europe like Mustard at London’s Soho Theatre and Angels in America at Paris’s Théâtre du Marais. One of his most talked about roles can be seen in the British movie Christopher and His Kind where he played a gay character alongside Matt Smith. As a result of the nature of some of the characters he has portrayed, different speculations have cropped up about his sexuality which will be expatiated on in this write-up. The handsome actor was given the name Alexander Dötsch when he was born in Germany on February 7, 1983. Due to his mother’s frequent relocation, Alexander grew up in many places including the United States, Germany, and Switzerland. While in the States, he resided in San Francisco and South Dakota. He also spent time in France after his mother had to move there to take care of his aunt who had a horse riding accident. 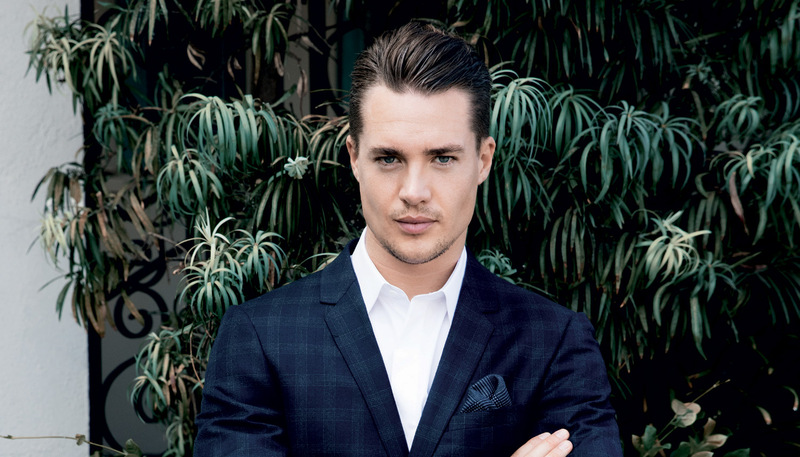 Alexander Dreymon’s father is not constant in his life but the relationship between the two is not strained. Dreymon got his education in Paris and though his parents aspired for him to pursue a career in Medicine, he grew up knowing he would want to be an actor. Thus, he honed his skills at Drama Centre London for a period of three years. Additionally, he trained in martial arts and during his stay in South Dakota, Dreymon made the most of the opportunity and learned horse riding. Perhaps as a result of his voyage to different countries, Alexander Dreymond speaks English, French and German fluently. The hunky actor has warmed his way into the hearts of many with his good looks and talent which he applies in slaying any role he is cast in. After a few stage performances in London and Paris, Dreymon made his screen debut in the French one-off-drama Ni reprise, ni échangée. His career gradually progressed and got a lot of spotlight after his stint in the British movie Christopher and His Kind (2011) where he starred as Caspar, Doctor Who’s Matt Smith lover. Afterward, he took up roles in many short-films while exploring the entertainment industry in the US. Subsequently, he appeared in five episodes of American Horror Story: Coven – season three, as Luke Ramsey. His latest offering is in the BBC Two show The Last Kingdom where he is bringing to life the character of Uhtred of Bebbanburg. The show debuted on the 10th of October 2015 and has amassed an impressive fanbase. He has also starred in several other films like Who’s Watching Who (2011), Resistance (2011), Blood Ransom (2014), The Test of Time (2015) and Guys Reading Poems (2016). Owing to the fact that the hunky actor has portrayed a few gay characters, outstandingly well we must say, a lot of rumors about his sexual orientation has been making the rounds. Following his role in Christopher and His Kind, many believed he must be gay but nonetheless, there is no concrete confirmation to those claims as he has not come out as gay. Besides, he has also played many roles as a straight and is said to have been romantically involved with Greek actress Tonia Sotiropoulou. Again, his 2015 comment on his kind of women – “most of my girlfriends have actually been French because I grew up for quite a while in France,” goes a long way to prove he is not gay. However, he is presumed to be single and has never been married to anyone before. One glance at Alexander Dreymon is enough to confirm his good looks which have kept his fanbase on the upsurge since he stormed the screen. The German actor sports a height of 1.78 m but verified information about his body weight is not available online. Likewise, details about his other body measurements are not available but it’s no secret that he is well endowed in all the right places.